There are at least two related issues involved here. First, there is a popular notion amongst some Reformed believers that every theological error is a heresy. This notion equates error with heresy, as if they are complete synonyms (words meaning the same thing). Second, there is another popular notion (found with some) that all theological errors are essentially of the same weight. Every theological error then becomes a matter of heaven or hell. In such thinking, to administer the Lord’s Supper differently is virtually in the same category as denying the Trinity. It might not ever be said that crassly, but when you look at what’s said and done, it often seems to come down to that. To really understand what’s involved here we need to turn to church history. Popular misuse of the terms “heresy/heretic” trace back to a lack of understanding of how these terms have been used in church history. In the centuries after the apostles, debates raged about certain doctrinal points. In these debates, certain teachings were ultimately considered to be heretical. By “heretical,” the Church understood that holding to such doctrines put one’s salvation in jeopardy. In fact, there were certain teachings where, if one held them consistently and unrepentantly to death, one would not be saved. The word “heresy” was reserved for these teachings that struck at the very heart of the Christian faith, attacking fundamental doctrines. Another classic example of a heresy is Pelagianism. Pelagius and his followers denied original sin and taught a synergistic view of salvation: since humans are not dead in sin, they can cooperate with God in salvation. The Council of Carthage in 417-418 condemned Pelagianism as a heresy and declared that those who held to it were anathema — anathema means “eternally condemned and outside of salvation.” The Council could confidently assert that because of what Scripture itself says in passages like Galatians 1:8, “But even if we or an angel from heaven should preach to you a gospel contrary to the one we preached to you, let me him be accursed.” In Greek, Paul used the word anathema. The Church has always regarded Pelagianism as another gospel, and therefore an accursed heresy. Our Reformed confessions are rather careful in what they label as heresy. Canons of Dort 3/4 article 10 reaffirms that Pelagianism is a heresy. Belgic Confession article 9 mentions several “false Christians and heretics”: Marcion, Mani, Praxeas, Sabellius, Paul of Samosata, and Arius. These were in deadly error with regard to the Trinity. Certain Anabaptists are also described as holding to heresy in Belgic Confession article 18. Though they’re not mentioned by name, the Confession is referring to Menno Simons and Melchior Hoffmann. They taught that Christ does not have a real human nature from Mary but that, in his incarnation, he took his human nature from heaven. This is a heresy because it runs into serious trouble with the two natures of Christ, and specifically whether his human nature is a true human nature. I have more about that in this article from a few years ago. So with that in the background, let me mention two prevalent errors that are not heresies. 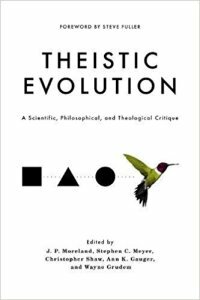 Theistic evolution is not a heresy. It is a serious error which may lead to heresy, but as such, it is not a heresy. I have never referred to it as such and I have cautioned others against describing it as such as well. Women in ecclesiastical office is a serious error that conflicts with Scripture, and emerges from a way of interpreting the Scriptures which could lead to far more serious doctrinal trouble. However, you should not say that it is a heresy because it does not fit with the way this term has been understood and used in church history and in our confessions. Not every theological error is a heresy. Certainly someone’s disagreement with you on a particular doctrinal point does not allow you to loosely throw the term “heretic” around. The words “heresy, heretic, heretical” should be reserved for only the most serious doctrinal errors, the ones where the Church clearly confesses from the Scriptures that these views are salvation-jeopardizing. By that, we also recognize that not all errors are of the same seriousness. We definitely want to strive for doctrinal precision and accuracy, but we also have to realize that not all points of doctrine carry the same weight and therefore we can, even in confessional Reformed churches, have some room for disagreement. So, if you happened to disagree with what I wrote in that blog post about the saints in heaven, I think you’re wrong, but I will never call you a heretic. Will you afford me the same courtesy? the matter of women’s voting — will the CanRCs make a change in direction again? I think there’s enough there to keep our interest, don’t you?